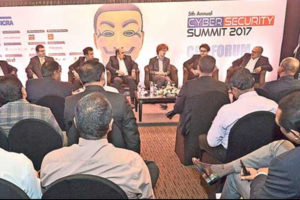 The recently-concluded Cyber Security Summit 2017 organised by the Daily FT and CICRA Holdings Ltd saw participation of a large number of university students who benefitted from great insights shared by global and local experts including two former hackers from the United Kingdom. The participation of university students was made possible by several socially responsible private sector organisations. The leading sponsors were EZY Intellect, Nations Trust Bank and Citi. 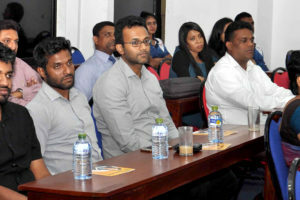 Others included 99X Technologies, Indocean Developers Ltd/Altair, Seylan Bank Plc, Siam City Cement (Lanka) Ltd., Lanka Orix Leasing Corporation Plc, IFS Sri Lanka, Lanka Ashok Leyland, Asia Securities Ltd., DIMO, Akbar Brothers, Overseas Realty (Ceylon) Plc, Capital Alliance Plc, Ceylinco General Insurance and Ceylinco Life. Students from the Faculty of Science/Department of Computer Science and Faculty of Engineering University of Jaffna; Faculty of Applied Sciences/Department of Computing and Information Systems Sabaragamuwa University of Sri Lanka; Faculty of Science and Technology/Department of Computer Science and Technology, Uwa Wellasssa University; Faculty of Engineering/Department of Computer Science Engineering and Faculty of IT from the University of Moratuwa; Faculty of Technology/Department of Information and Communication Studies from University of Sri Jayewardenepura; Faculty of Engineering/Department of Computer Engineering of University of Peradeniya; School of Computing, University of Colombo, Faculty of Engineering/Department of Electrical and Computer Engineering and Faculty of Natural Sciences/Department of Computer Science of the Open University of Sri Lanka attended the summit. These students were drawn from nominations from the respective universities. The rallying of select private sector firms committed to enhance the knowledge economy and skills of the youth was done on the request of the Daily FT to sponsor deserving students who are studying computer science, IT, science engineering and related streams at state universities. The summit is endorsed by the Ministry of Telecommunications and Digital Infrastructure and the ICT Agency of Sri Lanka. The strategic partners of the summit were Cisco and Visa. 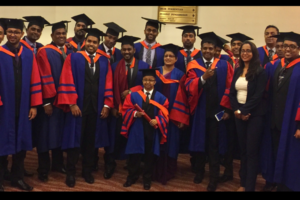 The other partners are LB Finance PLC, LankaPay, Airtel, Sri Lanka Insurance, Bayshore, ZeroFox, EZY Intellect, Nations Trust Bank Plc, Citibank, PrintHub, SriLankan Airlines, Cinnamon Grand, Triad and TV Derana, FM Derana and Ada 24×7 and and Citrus Events Worldwide.